This entry was posted on Wednesday, March 20th, 2013 at 3:13 am CST and is filed under Books, Florida, Illinois, Rehabilitation. You can follow any responses to this entry through the RSS 2.0 feed. You can leave a response, or trackback from your own site. I loved reading this post. 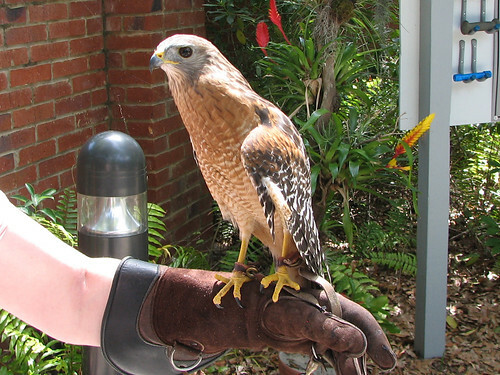 I volunteer with a local wild bird rehab group in Wilmington NC (nods to Skywatch Bird Rescue!! 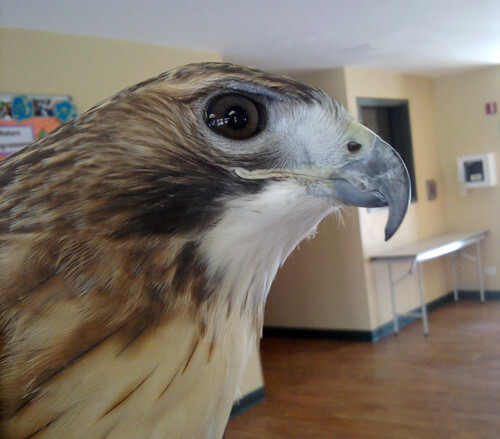 ), and we recently took in a young Red-tailed Hawk with a wing injury that left her non-releasable but a perfect candidate for educational programs. 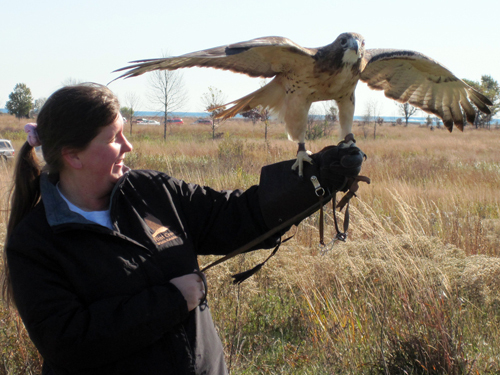 Once she fully recuperates from surgery on her wing, she and I will start glove training – and between the two of us, I will be the one to require the bulk of the training. I’m beyond excited to work with and share an educational partnership with her! Thanks for the post and pics! Darwin is so gorgeous – well, they all are, really. I’m really enjoying the blog tour. 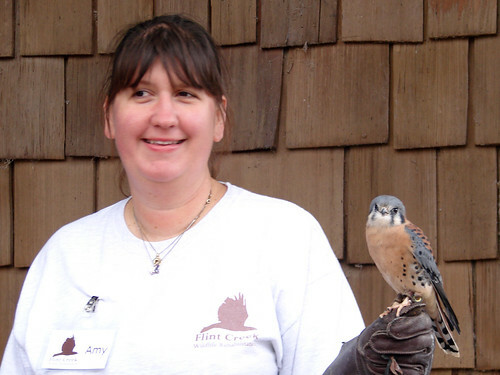 When I worked at Hawk Mountain Santuary, one of my favorite birds to work with was the Broad-winged Hawk. We always seemed to use the much heavier owls for programs though, a true arm workout. I always look for hawks along the highway on long drives. 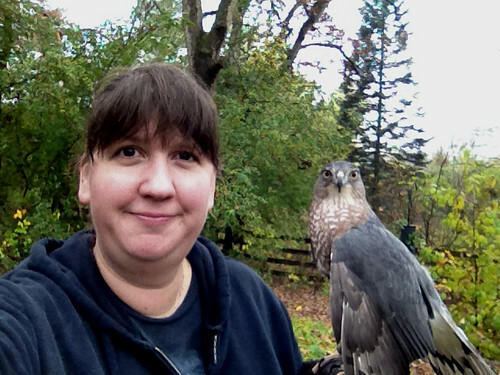 Thank you for introducing your raptors, hoping to volunteer somewhere myself! Fun! Love the photo of you and Darwin! 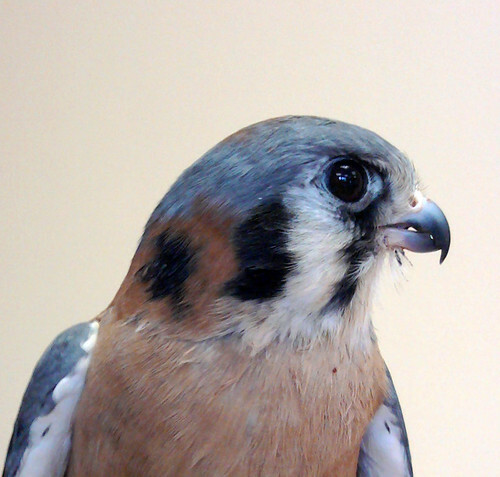 My favorite are kestrels. Darwin is a beauty! My favorite is the kestrel too .. 😉 because it does not hunt in my backyard :p .. 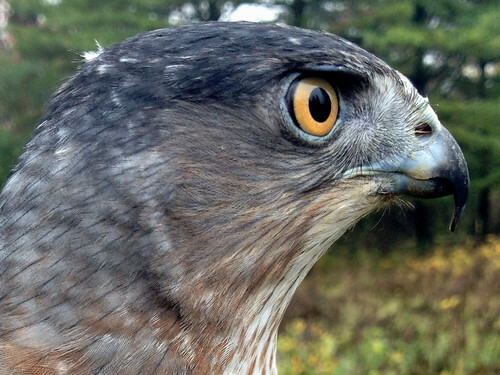 I see the coopers hawks and sharp shinned hawks and red tailed hawks daily … All beautiful birds! !